Shimla city is facing acute water shortage. Citizens are getting potable water once a week. Authority claiming of drying up most of water sources in Shimla and its suburbs this summer owing to less snowfall in the winter and less rains thereafter. Water crises has aggravated ever since the mercury shot up and influx of tourists from neighboring states. The Shimla MC has pressed water tanker to ease the water woes, but even though the MC has failed to mitigate their problem. 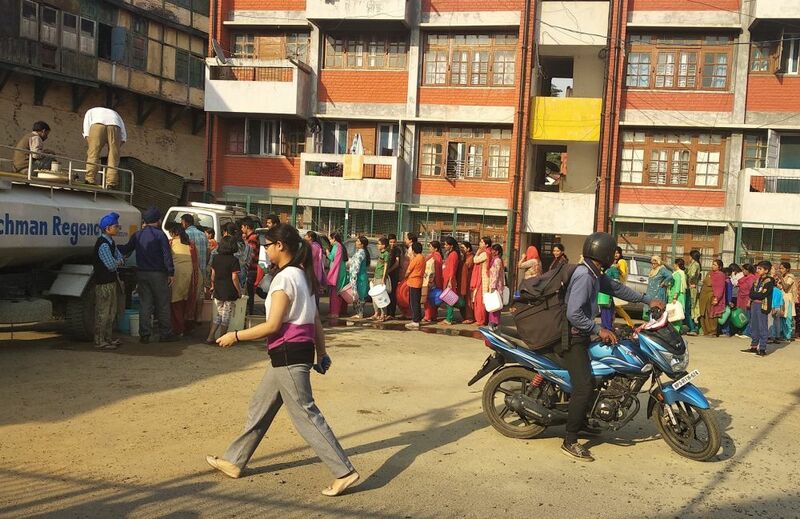 People in long que with empty gallon to get water from tankers are seen everywhere in the city. Aggrieved with the acute shortage of portable water people from various walks of life are protesting against the BJP led MC and State government. Citizen of Shimla city has started protest against the BJP led MC and State government and even resort to blockade roads. That High Court has also taken cognisance of the drinking water shortage and directed the Assistant Solicitor General to file an affidavit on the status of water augmentation schemes pending with the Centre and steps being taken regarding the delay in implementation. The Hon’ble court has observed that there was no scarcity of water in the hill State, but it was poor management that was responsible for the drinking water shortage year after year. Himachal Pradesh Chief Minister Jai Ram Thakur convened a meeting today with senior officers of the State Government to review the water supply to Shimla town and decided to constitute High Level Committee for monitoring the issue of water supply in Shimla town under the Chairmanship of Chief Secretary. Additional Chief Secretary, Urban Development, Deputy Commissioner Shimla, Special Secretary, Revenue, Commissioner, Municipal Corporation, Shimla, Engineer in Chief, PWD, Engineer in Chief, IPH and Chief Engineer IPH will be its Members while Secretary, IPH its Member Secretary and Convener. 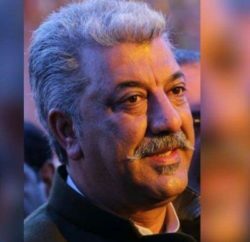 The Committee has been authorized to take all necessary steps including requisitioning, hiring of tankers and other resources both from the Government and private to ensure proper supply of drinking water to the consumers in Shimla town. 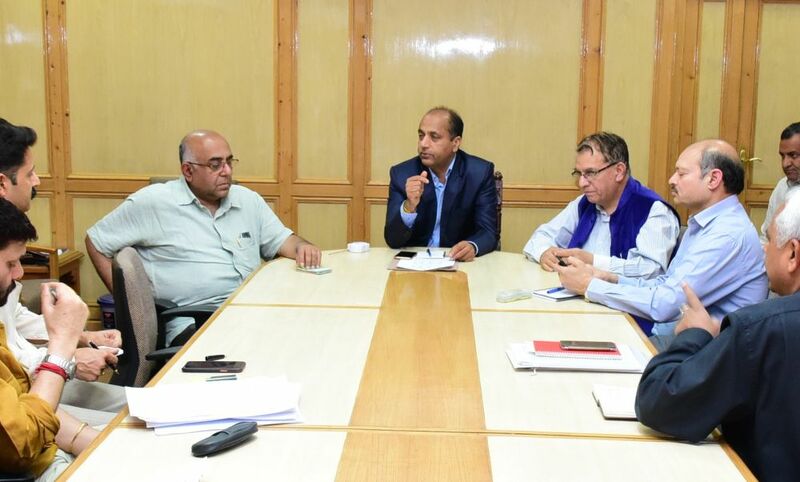 Jai Ram Thakur directed the officers of I&PH department and Municipal Corporation to make untiring efforts to ensure adequate supply of drinking water to people of Shimla town. 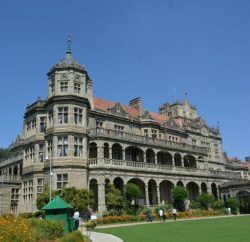 The Chief Minister also directed the officers of the Irrigation and Public Health Department, district administration and the Municipal Corporation Shimla to take all measures to ensure that there was no inconvenience to the residents and tourists of the Shimla town due to shortage of water during the summer season. 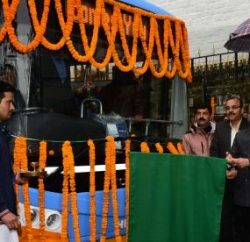 He said that 17 water tankers, 15 utilities and four tippers had been pressed into service to supply water in Shimla town to ease the situation. He said that in addition three tankers from Sirmaur and three from Bilaspur had also been requisitioned for making available sufficient water to the people of the town. Jai Ram Thakur directed the officers to evolve foolproof mechanism for equal distribution of water through tankers so that people do not face inconvenience for getting the potable water. He said that wide publicity regarding supply of water through tankers should be ensured so that people residing in particular area could get information about these tankers. Chief Minister directed the Chief Secretary to personally monitor the water situation and also supervise the distribution of water among the people. Previous PostShimla city divided into three zones, water to be supplied after every three days Next PostPity of crying mountains!